Must contain a minimum of 8 characters. Alphabetical letters and numbers are required. Build and manage your online presence with the Deluxe Marketing Suite. Our powerful Business Apps and Marketing Tools make it easy to create a website, get a custom domain and business email, launch social and email marketing campaigns, track analytics, and more – all in one place. You’ll be able to do it yourself or get help from Deluxe’s online marketing experts. Best of all, you can start for free. 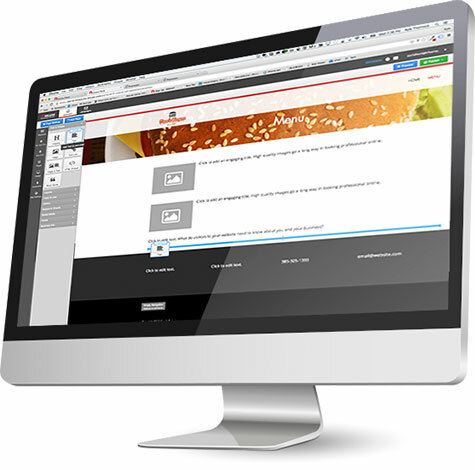 Get the site you’ve always wanted with the website builder in the Deluxe Marketing Suite. 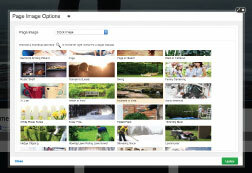 Easy-to-use visual editor, drag and drop tools, beautiful templates, custom domains, hosting, and mobile optimization. 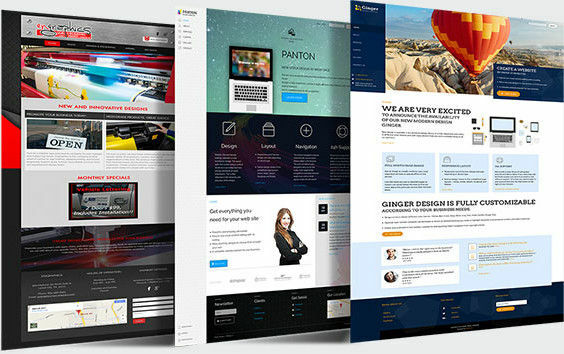 Choose from hundreds of designer templates created to work specifically for your business. All templates are optimized for mobile, come with royalty-free images and fonts. Drag & Drop No design or HTML experience is needed to use the Website Builder. 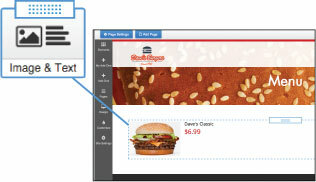 All you have to do is drag & drop any text, images or widgets you want to add to your website. Responsive Deluxe Marketing Suite automatically resizes your website and emails to adapt it to the device your visitors are using. 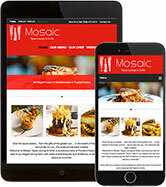 Ensuring your website looks amazing on desktop, tablet or mobile. FREE Stock Photos Get access to a gallery of professional images you can use on your website, email campaigns or even social media. 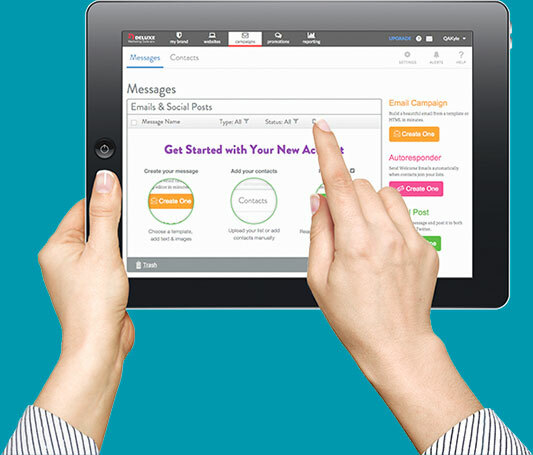 Send newsletters, special offers and invitations to keep customers coming back again and again with Email Marketing. Grow your email database with turnkey form collection, check analytics and manage your contacts with list segmentation tools. With the Deluxe Marketing Suite, you also get email templates that match your website template, so you look consistent and professional when communicating with customers. Your domain is your business' unique identity on the web. Get a custom domain name for free with Deluxe Marketing Suite. Get a .com, .net, .org, .biz or .info to establish your online brand. Project a professional image with email addresses that match your domain name. Stop using a Gmail or Yahoo email address and start using a customized email address to send out and respond to email communications. You've got your website designed, now get it online with our hosting packages. Get a clear picture of what's working or not with your marketing. Deluxe Marketing Suite reporting will provide insights into your website traffic, email and social campaigns and more. Know what's working so you can optimize your future marketing efforts. Get your message out by adding social media widgets to your site and easily share email marketing messages on your Facebook and Twitter accounts. This tool also gives you the ability to schedule your Facebook and Twitter posts ahead of time. Our team of online marketing specialists are here to help with all your support needs. If you have any questions, concerns or need a tutorial, easily access our online help center, send an email or talk to one of our representatives. Need Help? Get Professional Services! We have a team of marketing specialists ready to help you get your business online! From designing your website to launching social media campaigns, from optimizing your SEO to managing paid advertising – we’ve got you covered. You concentrate on your business, let us build your online presence! An email has been sent to the email address on file. Please follow the instructions to reset your password. The link has expired. Please, try again.